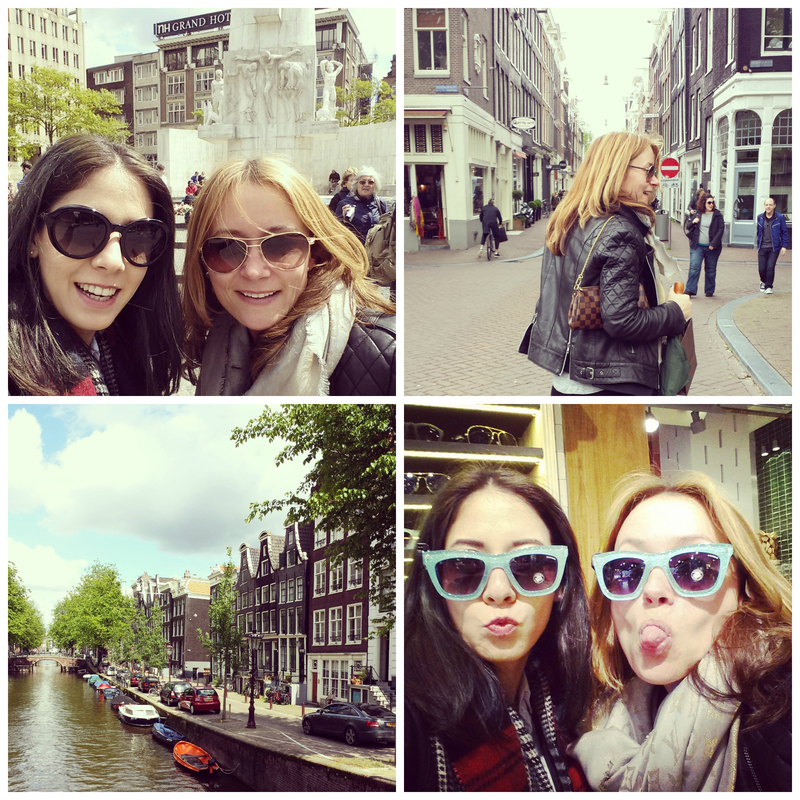 Yesterday Elvire and I decided to ignore the everlasting rain and hit the road for a shopping spree in Amsterdam. And surprisingly enough, the lucky bastards that we were, the sun was shining in the capital city! First we wandered around the Bijenkorf and worked our way from there to the 9 streets (small boutiques) and the PC Hooftstraat (exclusive shopping street). 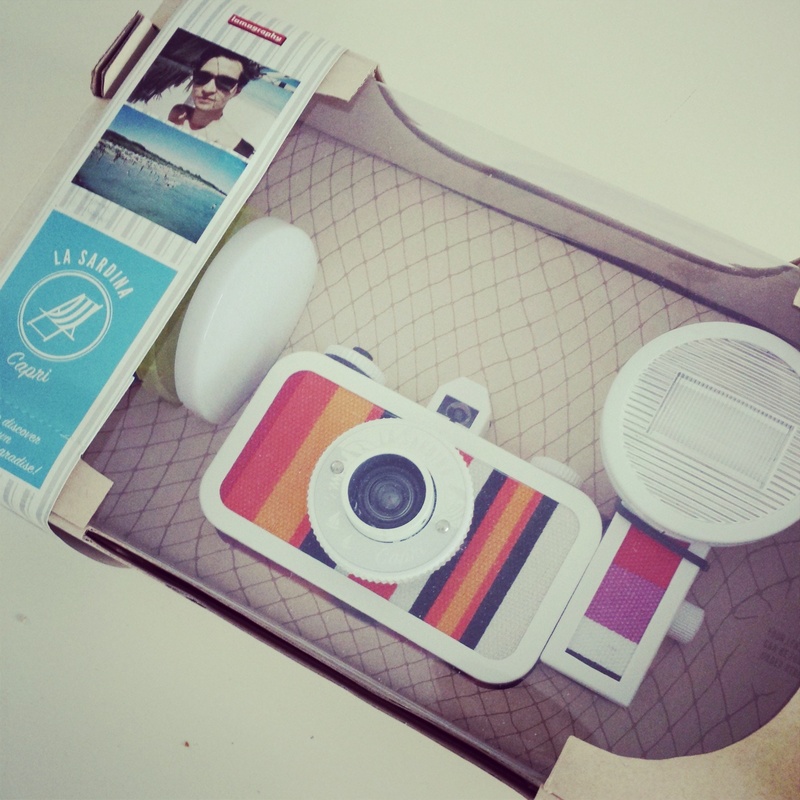 In the 9 streets I finally found my La Sardina Capri camera to make my summer project come to live. So glad I found it! I also found this beautiful bracelet in a small boutique in the 9 streets. Since I wasn’t really in the mood to try on some outfits and to be honest didn’t really see anything I was loving enough as well, I ended up in Zara Home buying some nice cushions and a photo frame for my living room make over. 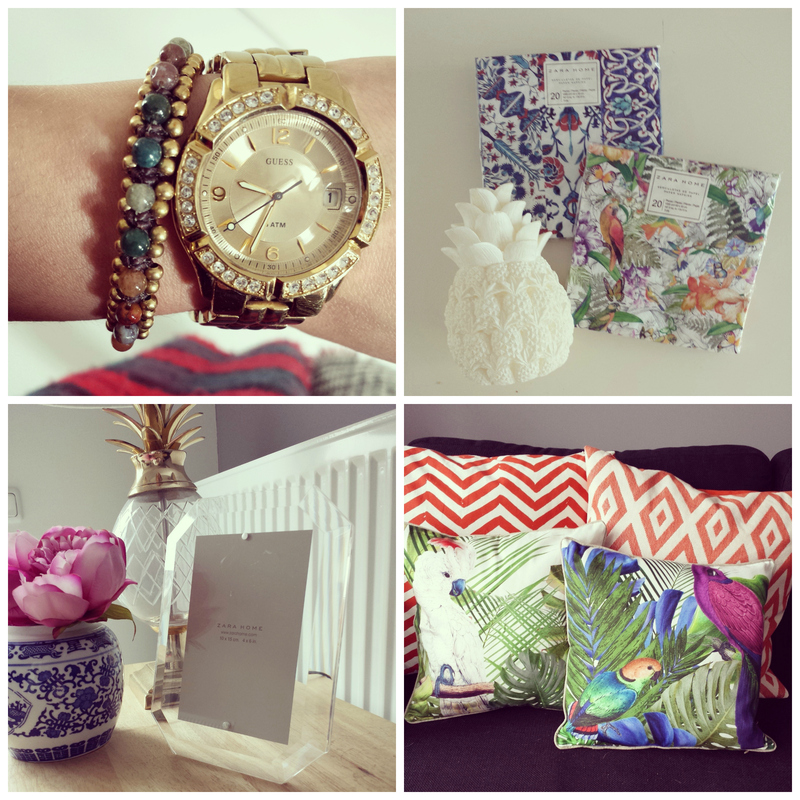 Of course I couldn’t leave the place without taking the pinapple candle and some Turkish print napkins. The flower print napkins are a gift from Elvire. When the stores closed we decided to have dinner at Van Puffelen on the Prinsengracht, which was truly delicious. Oh well, this was just a great day!